It’s been another solid year for new releases, hundreds of bands released new albums in 2007 and it’s been very hard to keep up. I missed out on many new releases in many different genres because I spend my hard earned money. That money I put aside for my music fix has to be spent wisely and some bands/albums just fall through the cracks. I’ve started to get the attention of some labels and distributors so I’m hoping that I’ll be able to review more new releases in 2008. Another factor is availability. Today anything can be bought online but the prices can be too high, sometimes it’s better to save a few dollars by holding off on a European or Japanese import and waiting for the U.S. release. In a few of those cases, some albums released around the world in 2007 won’t be released properly in the U.S. until early 2008 (Night Ranger, Airbourne, Primal Fear). The surprise of the year! The Scorpions experimented enough over the last few years but they planted the seeds with 2004’s UNBREAKABLE for a major comeback, not that they ever went away. I admit that I was apprehensive when I found out Pop Rock guru Desmond Child was aboard but the relationship produced a solid Hard Rock album full of melody, emotion, and attitude. This album has remained in my playlist rotation since it’s release and I haven’t tired of it yet, that’s the mark of a great album. 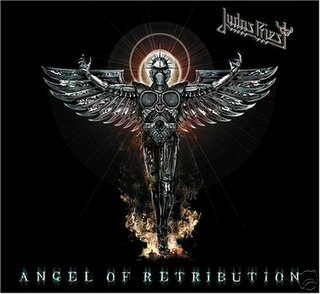 I missed the band when they came to Boston this past Fall but their is a rumored tour with Judas Priest in 2008, that will make HUMANITY HOUR 1 even better. Another surprise was the advertised price ($7.99 at Best Buy) and the exclusive bonus track ‘Cold’. A great album AND value! Very close to being my #1 album of 2007. So close in fact that I’ve had to listen to this and the Scorpions more in the last week to make the final decision. 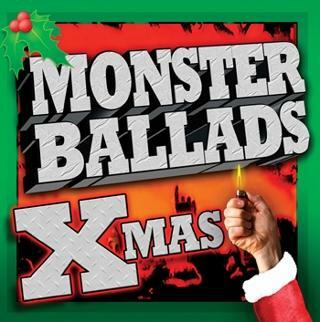 All the songs are strong and the music is a pure blend of classic AOR and Melodic Hard Rock. 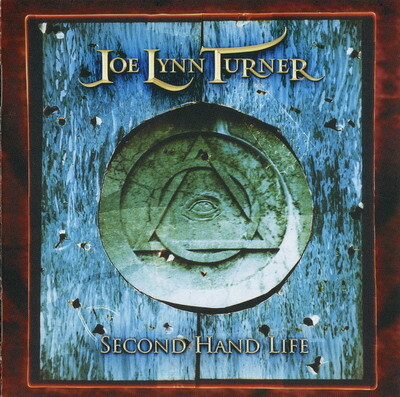 The songwriting is intelligent and emotional and the vocals are the best I’ve heard in 2007, JLT is in fine voice, probably the strongest of his career…..he just sounds so smooth, so effortless in his delivery. There were also a couple of Rainbow influences that gave the album a classic sound without sounding dated. Like the Scorpions album, there was a lot of value: the U.S. release on Friday Music was $12.99 and included an exclusive track (‘Freedom’s Wings’) and all the European and Japanese bonus tracks. THE INNER SANCTUM was the album of the year for me until the Scorpions and JLT released their albums. Saxon are one of my favorite bands and they have consistently produced great albums since the late ’90s, this record is no exception. 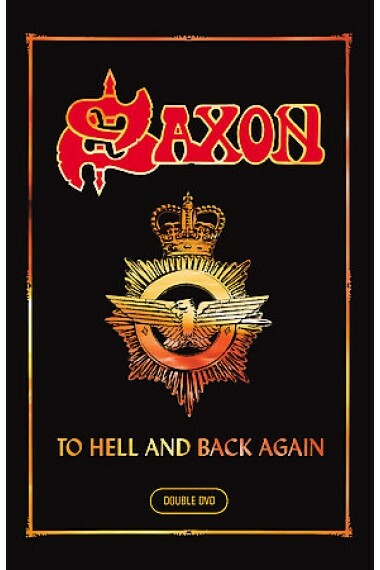 Saxon blends their current approach of blazing fast Power Metal with their NWOBHM roots and creates an album of ten really great songs. Saxon are elder statesmen in the realm of Heavy Metal but they do things better than many of the younger bands. The focus is on the songwriting and then translating it to the live show. Every one of these songs could be played alongside the classics, that’s how strong they are. Add the bonus DVD to the studio album and it turns into a great package, also one of my favorite album covers of the year. A successful comeback by a band no one expected to do anything. After all that has happened, did anyone think that Great White would actually make an album? They did and they made a great Blues based Hard Rock record. Getting the classic lineup back together rejuvenated the writing and getting singer Jack Russell sober made all the difference as he put in probably the best vocal performance of his career. 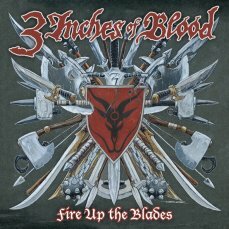 One of the best new bands out there playing a cross between NWOBHM and Traditional Metal. This is their second album and it doesn’t suffer from the “sophomore jinx”, this is a solid slab of straight up Heavy Metal. I even like the cover of Def Leppard’s ‘Mirror Mirror’! A band worth watching for the future. Primal Fear just make good Heavy Metal records…..period. NEW RELIGION has a bit more melody and harmony within the power of their Metal assault, making the album more accessible and diverse. Everytime I hear a new Primal Fear record, I always wonder how vocalist Ralf Scheepers lost the Judas Priest gig to Tim ‘Ripper’ Owens. Ralf has grown from being complete Halford clone to being one of the best Metal singers alive. Had to pick this up on import in September, the U.S. release is January 2008. I bought into all the hype and rave reviews and I picked this up very late in the year. I was skeptical because I had heard only two songs and I wondered if AC/DC clones could produce a strong album. Everyone likes AC/DC, and with them out of the picture for now, Airbourne has picked up where Angus & company left off. It’s simple bluesy Hard Rock like AC/DC, Rose Tattoo, and The Angels but with a youthful energy built for party Rock. Had to get this one on import late in the year also because their U.S. distribution starts in January 2008. A big thanks to a loyal reader, and devout Metalhead, Rene for pushing me to check out this band. Good thing I listened because 3 Inches Of Blood is a great young band that blends many different styles of Metal into their overall sound. Cam Pipes is one of the better Metal vocalists that can incorporate clean/traditional singing with growls. grunts, and groans. Another young band making their mark. Terrible Ted came roaring from the woods to deliver his best album in years. Continuing with his gonzo attitude and hunter instinct, Ted took his love of the Blues, added his Hard Rock blend and tongue-in-cheek humor, and built the LOVE GRENADE. Jack Blades’ (Night Ranger/Damn Yankees) produces and co-writes here and does a spectacular job at getting the best from the Nuge. One listen to ‘Girl Scout Cookies’ and ‘Funk U’ and you’ll understand. Another end of the year addition and it’s a shame I waited so long, it’s a good album. A little more Progressive and Symphonic than their past Power Metal style but still good. 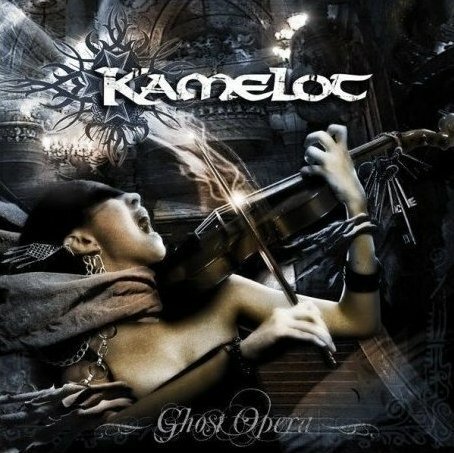 Kamelot proves that heavy music can be intricate and diverse while retaining the power…..I really dig the orchestration and strings and the lush backgrounds. Is Roy Khan one of the most underrated singers in Metal or what? Added value to this one is the bonus DVD on the limited edition. 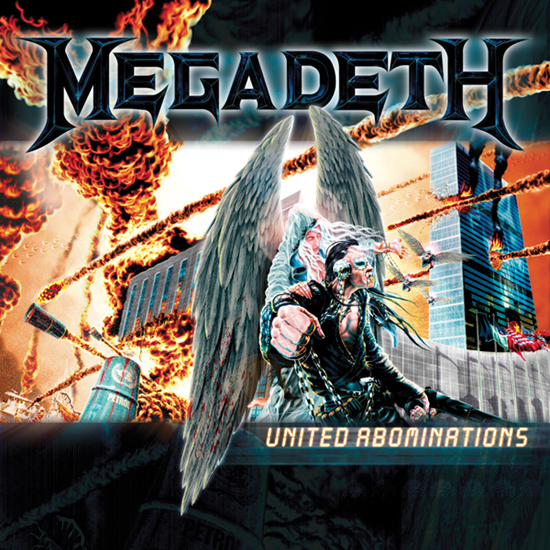 At first, I wasn’t excited or impressed, Megadeth hadn’t regained my trust from 1999’s RISK debacle even though there had been two decent studio releases since. It wasn’t until mid-May when I saw Megadeth open for Heaven & Hell that I stood up and took notice. It’s having classic Megadeth back with Dave Mustaine more focused than ever. Helloween were kind of put in the same category as Megadeth because I just couldn’t get into their last two albums: RABBIT DON’T COME EASY (2003) & KEEPER OF THE SEVEN KEYS – THE LEGACY (2005). There was too much experimentation and enhancements on those records while the band tried to regain their signature sound and promised fans such. This album was more straight ahead Power Metal that Helloween is known for. Andi Deris puts in a spectacular performance and the band has shown that all the lineup changes of recent years hasn’t disrupted their core. Hard to believe that this is only Iced Earth’s third album since 1998’s masterpiece SOMETHING WICKED THIS WAY COMES. It’s also hard to believe that after releasing two very spotty concept records, the band would come roaring back to form with another concept album based on the SOMETHING WICKED theme. Unfortunately, recent lineup changes (Owens out, Barlow back in) and some late year additions to my collection have pushed this album down the list, I had it Top 10 easily up until the last couple of weeks. Endeverafter came out of nowhere to deliver solid party time Hard Rock. A blend of classic L.A. Hard Rock with today’s edge, I couldn’t find a bad song. I’d like to hear how the do on their next record. 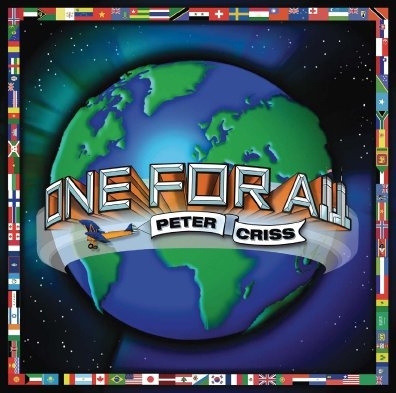 I’ve had this CD since early April and I’m still enjoying it. Unfortunately, it ranks a little lower due to my getting used to Mike DiMeo replacing Jorn Lande at the mic and the fact that many top bands released excellent albums later in the year. Really good Power/Progressive Metal here, hopefully the lineup stays stable. I know I’m a biased KISS fan but this release was by far my favorite of the year. Starting with a full concert from the Revenge Tour, to Unplugged, to the Reunion, and thru both the Psycho Circus and Farewell Tours…..KISS delivered a solid package for the second time this year. What makes this so special to me is the Reunion footage, it’s nice to re-live the era again and to feel the awe and excitement I did when I finally witnessed my dream of seeing the original KISS live. I watched 10.5 hours of solid concert footage over 5 DVDs (the bonus DVD was different depending on where you bought KISSology 3). If you add the other 2 copies I bought (from Wal-Mart & Best Buy) for the exclusive bonus DVDs, I spent another 2 hours in front of my TV watching my favorite band. Excellent value and decently priced ($25 at most retailers). It may be a bit too much KISS for some people but KISSology Vol.2, released August 14th, is as solid as Vol.1 and Vol.3 with only one minor hiccup keeping it from the top spot: KISS in Attack Of The Phantoms movie. This is the Australian version that had better music but it could have been released separately giving way to more live concerts. Vol.2 has more clips than performances until Disc 3 but the clips are good to have for the KISS kollector that doesn’t frequent the trading circuit. This version could have a little more non-makeup/’80s era KISS for my taste but I think Gene & Paul are saving that for future volumes. Would have been nice to finally get the old VHS concert Animalize: Live Uncensored on U.S. DVD but I understand there are some legalities to straighten out. Nice to relive the Crazy Nights Tour ’88, that was my first KISS concert. 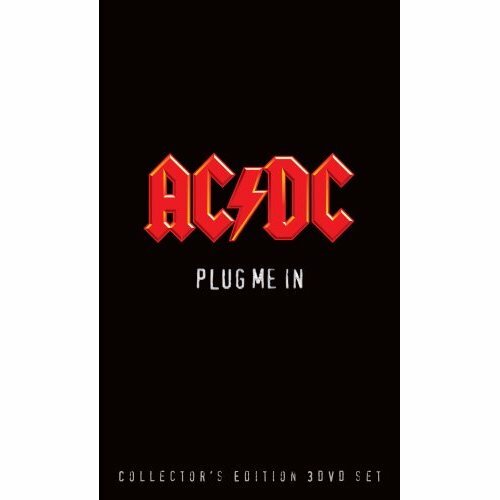 With AC/DC on the shelf about rleasing a long-awaited new studio album, the band decides to release an archive set of performances from both the Bon Scott & Brian Johnson eras. Brilliant! I bought the limited edition 3 DVD set and it was worth the extra $10. After watching over 7 hours of concert footage, I really want a new AC/DC record and tour. This set would have been #1 if KISS hadn’t released the KISSologys. The Dio-era of Black Sabbath is my favorite lineup and I was really into the reunion even if there had to be a name change. I caught the tour twice and was not disappointed, even the new songs came off well live. The best part of the concerts and DVD are the inclusion of songs from the DEHUMANIZER (1992) album: ‘I’, ‘Computer God’, ‘(After All) The Dead’. It’s an extremely underrated album and is usually forgotten around classics like HEAVEN & HELL and MOB RULES. Looking forward to the new album and tour planned for 2008. The bias is showing again because Saxon is in my Top 5 favorite bands. I enjoyed the documentary but I would have enjoyed a full show more. A small complaint because we don’t get to see Saxon here in the U.S. as much as the rest of the world does. It was cool to see Lemmy, Doro, Andi Deris, and Angry Anderson (Rose Tattoo) makes guest appearances in concert. Good to hear the LIONHEART album performed live and it’s nice to have the videos from the album on a proper release rather than just found on YouTube. Absolutely the worst album I bought this year! I am a big Manowar fan and I have been since the early ’80s but this tests my loyalty. One look at the deluxe packaging and everything looked promising, the band really put a solid visual package together for the fans. I wasn’t big into translating the whole booklet but it gave me something to do while I listened. Unfortunately, the music was long and boring. Concept albums are hit or miss, for every OPERATION: MINDCRIME there are many subpar efforts. Even though the concept falls in line with the Manowar line of thinking, it’s hard to follow. How many orchestral passages does one album need? How many sound effects? Half the albums was instrumentals and narratives, for an album over an hour long, that’s a complete waste of time! The other half of the album was proper songs but even then they were too over the top and that’s saying something because everything Manowar does is over the top. Even the accompanying DVD (available on the limited edition) didn’t help. 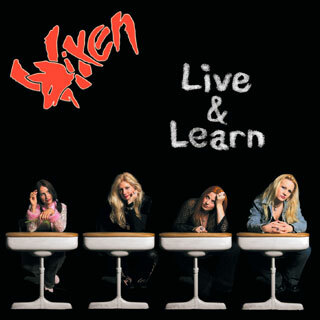 What could you really expect from Vixen in 2007 anyway? Somehow, the nostalgia of my youth and the $9.99 price tag got the better of me and I bought this the day it came out. My big problem with this was that it just didn’t sound like Vixen. All the members are different except for guitarist Jan Kuehnemund and the mix is awful. Maybe if Janet Gardner was still on vocals then LIVE & LEARN could have escaped this list but the record would still need better production and better songs. Oh well, you live and you learn (pun intended)! At least I knew going in that this wouldn’t be a Rock ‘n’ Roll album, that takes some of the pain away! This album was a must for me because I am a KISS diehard but I didn’t get value for my dollar. Overall, the music isn’t bad but the vocals are…..he’s not Frank Sinatra or Tony Bennett no matter how hard he wants to be. Knowing this album would be mellow and light with no Rock, I knew what I was getting. You wait 9 years and release this? I think the five songs on BRING’EM BACH ALIVE (1999) are much better than these songs and having Axl Rose as a guest star on three songs doesn’t make it any better. So why did I buy it? Simple…..hope. I had hope that Bach would make a good solo record, especially considering he had plenty of time to write good songs. I think my biggest disappointment here is the vocals, they are not good. Sebastian Bach has been considered to have one of the better voices from the ’80s and he just doesn’t show it. If the vocals were better, I would have kept it out of the Worst 5. I have yet to properly review this album but I’m definitely done listening to it. If you didn’t know who he is, Rat Skates is the original drummer for Thrash legends Overkill. Rat left Overkill in 1987 due to the pressures touring and the boredon of life on the road, he gave the keys to the Overkill machine to D.D. Verni and Bobby Ellsworth and has remained out of the Metal public’s eye for two decades. 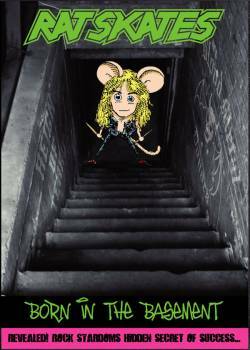 The DVD is Rat’s account of the early days of his music career and the evolution of Overkill. What was so striking to me was that Rat was the main guy that made Overkill into what they became and he has been perceived as only a small part of the band. Everything from designing the Overkill logo, to making the homemade t-shirts and merchandise, to creating elaborate stage sets was from the mind of the Rat! The undying passion to make it is shown through the hard work the guy put in to making the band bigger than what they were and you can tell that he is still passionate about Overkill’s history to this day. What makes the DVD is all of the pictures, home movies, and memorabilia that Rat has kept in order to present the proper history and timeline of his, and Overkill’s, history. Watch the footage of using stolen milk crates to make elaborate stage sets and drum risers and the proper use of rubber stamps to make authentic Overkill merchandise is classic! Rat lays it all out on how to start a bedroom based business in Heavy Metal Merchandise and band promotion. The ingenuity is so simple you wonder why other bands didn’t use the same ideas. You can easily tell that this is a professional release that had a lot of time and effort put into it. My only complaint is that the guy asking Rat the questions is so bad in front of the camera that he actually makes it sound like a poor product. Good thing Rat is a professional! If you want a nostalgic look back to the early days of Overkill, and Rat Skates’ career, then this is a great DVD to have. It’s a great way to take a look back 20-25 years ago to remember how exciting the Metal scene was and to see how it’s grown. Look for the milk crates! I reviewed a few of the newer Christmas releases earlier in the year so I figured that I would post the links here so everyone can find them easily. Busy, busy, busy! That’s how I’d describe my holiday season so far. It hasn’t been that bad actually, I planned ahead at work to make it easier and my wife handles the family stuff. A lot gets crammed into the month (from Thansgiving to Christmas) and it always seems like more is going on than usual. I think a lot of it has to do with other people rushing and panicking. Roadkill – God Bless America (2007): The band just sent me this CD so it’s only had the initial spin. I’ll be reviewing this album in January. Armory – The Dawn Of Enlightenment (2007): Always good to hear a band from New England. Armory is from Massachusetts and this CD is a re-recording of the original album from 2004. Like Roadkill, I’ve only given this one spin so I need more time to get into it. Another review for January. 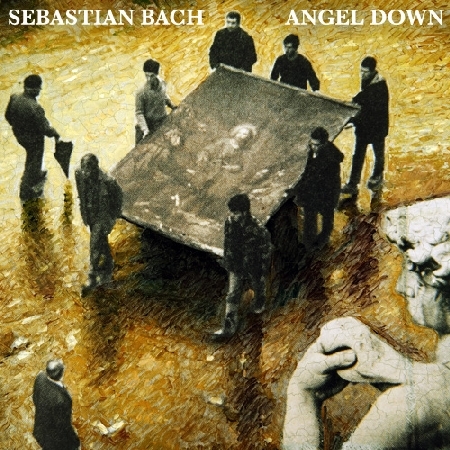 Sebastian Bach – Angel Down (2007): I liked BRING’EM BACH ALIVE (1999) even though it only had 5 new songs. It’s hard to believe Sebastian Bach has done virtually nothing as far as recorded material but has maintained a huge profile with his other activities. ANGEL DOWN is getting heavy rotation because I really want to like it. Icarus Witch – Songs For The Lost (2007): I’m a big Icarus Witch fan and I have been playing this since it came out. I’ll have a review this week and…..will it make the Top 15? 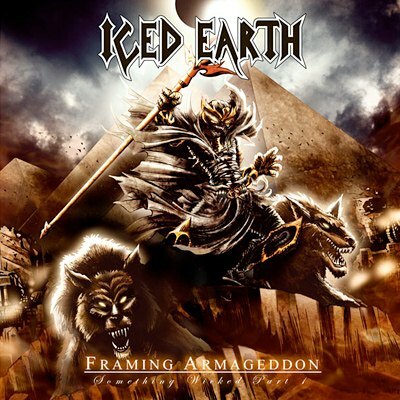 Wait and see…..
Iced Earth – Framing Armageddon (Something Wicked Pt.1) (2007): With all the changes at the mic, this album as been resurrected in my CD rotation. Tim Owens outs in a solid performance so I’m still scratching my head as to why the change was made to bring Matt Barlow back. I like the move, Barlow is Iced Earth and the band hasn’t been the same without him. 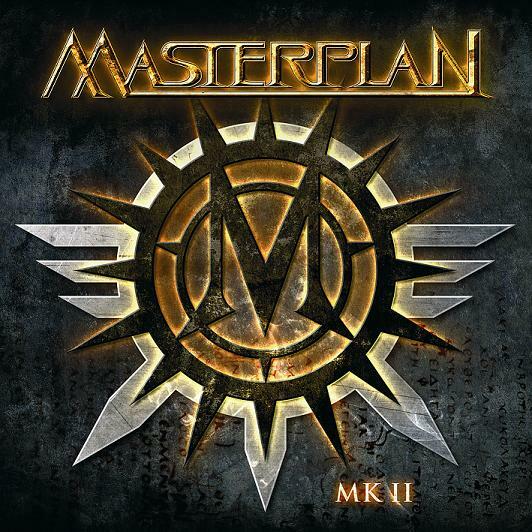 Masterplan – MK II (2007): I’ve given this the most spins of any album lately because I’m trying to figure out why I’m not getting into it. Is it the switch at the vocalist slot? Not sure…..
Great White – Back To The Rhythm (2007): Comeback of the year! Solid record and completely unexpected to be that good. I hope they continue to make new albums, Great White was a favorite of mine for a long ime until the tragedy happened. Mob Rules – Ethnolution A.D. (2007): I haven’t given this enough spins and I’ve had this for most of the year. I’ve been into Mob Rules since their first album and I’m a little surprised I’ve shelved this CD for other new releases. Rush – Snakes & Arrows (2007): I’m trying to like this album. I like Rush a lot but I’m not getting into this record. 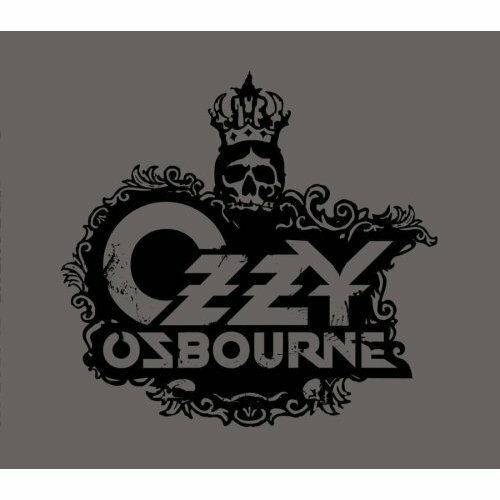 Ozzy Osbourne – Black Rain (2007): I’m trying to give this album a second chance but my review stands so far. I have a hard time reviewing KISS related products, that’s because I’m a diehard, card carrying member of the KISS Army. I own KISSology Vol.1 & Vol.2 but I decided not to review them because of my bias but, after watching all 10+ hours of Vol.3, I knew it was time for a review. To many KISS collectors, most of the footage on KISSology 3 may be nothing new. Most of the shows have been readily available in trading circles for years. The notable exception being the 1973 show at The Coventry in New York City during the band’s formative years. Collector’s got a taste of that show as an “easter egg” on the previous KISSology Vol.1 but the whole show has never been released until now. As with all things KISS, the package is top quality: full-color digi-book with slipcase, full color booklet with band member notes and pictures, bonus DVD, and top quality picture and sound. There is sound extras: 5.1 Surround, etc. but my favorite is the commentary as the programs run. 11/27/92 – The Palace Of Auburn Hills (Detroit, Michigan): This show was in support of REVENGE (1992) and features the band doing older songs that hadn’t been played in years (‘Watchin’ You, ‘Parasite’) alongside four new tracks. The band is really tight and is full of energy: Gene Simmons & Paul Stanley have a youthful exuberence on stage and Bruce Kulick & Eric Singer prove why they are considered some of the best in the business. The band is in your face, raw, and live…..putting the music first and then the show. There still is a show, check out the Statue Of Liberty behind the drum riser. This concert was recorded for part of the ALIVE III record in 1993 and parts of the video footage was released on a previous KISS VHS release, KISS Konfidential. Konfidential was released on DVD with another VHS tape, KISS Xtreme Close Up, but no additional footage of this concert was added in. I caught the Revenge Tour in Boston, MA (when the band did a round of club dates to break in Eric Singer) and in Worceter, MA at The Centrum months later. MTV Unplugged (Behind The Scenes) & MTV Unplugged 8/9/95: Unplugged was released on Cassette, CD, VHS, & DVD in March of 1996 and the DVD quickly became out of print commanding large sums at online auctions. A lot of the footage from Behind The Scenes was included on a later KISS DVD release, THE SECOND COMING (1998), that celebrated the Reunion Tour. The only difference is that the commentary is by MTV/VH1 producer Alex Coletti instead of Matt Pinfield on The Second Coming. The actual concert includes some songs that were left off previous releases and only found on the raw bootleg that makes the rounds with collectors: ‘Hard Luck Woman’ with Paul on vocals, ‘Heaven’s On Fire’, ‘Spit’, ‘C’mon And Love Me’, and a Country version of ‘God Of Thunder’. This was the show KISS fans had waited years for: the reunion with Ace Frehley and Peter Criss. MTV dropped the ball on this show. It was filmed in August ’95, aired on Halloween that year, and was released March 12, 1996. I had already seen the 3 hour uncut video that I paid top dollar for through a KISS collectible dealer but I still waited in line outside Strawberries Records & Tapes to buy the official copies. 6/28/96 – Tiger Stadium (Detroit, Michigan): Opening night of the Reunion Tour. 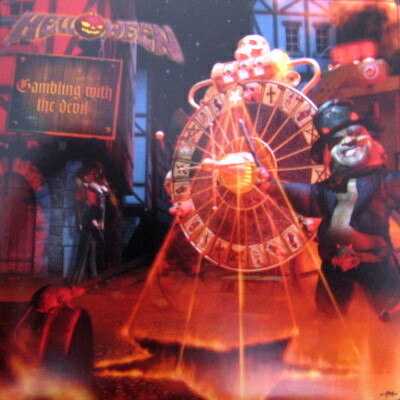 This is the show that the live ‘Shout It Out Loud’ video was recorded to promote GREATEST KISS (1997). Another widely traded show but never officially released, although clips were shown on THE SECOND COMING DVD. It’s nice to have a show on DVD from the Reunion Tour, I saw the tour in Boston, Worcester, Springfield (all in MA), and Providence, RI. Watching this, I still feel the excitement I felt in Boston for my first reunion show. Probably KISS at their best aside from their ’70s heyday. 9/4/96 – MTV VMA Performance at The Brooklyn Bridge (New York, NY): Only one song was televised on the MTV Video Music Awards but the band did give a short performance for the crowd that was lucky enough to attend. Highlist here is ‘New York Groove’. 10/31/98 – Dodger Stadium (Los Angeles, CA) – Parts 1 & 2: Opening show of the Psycho Circus Tour and it was a special show that was broadcast over Westwood One Radio. I took the night off and listened to the show, I also taped it but it got lost somewhere along the way. 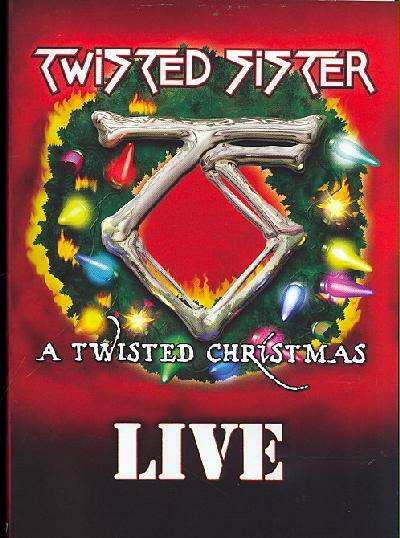 I saw this tour in Boston, MA on the first two nights after the Halloween L.A. show and in Hartford, CT a couple weeks later, I had great seats each time and I thought the shows were really good. Notable performances from the L.A. show: ‘She’ & ‘Nothin’ To Lose’…..these two songs were pulled from the set after this concert. 8/9/99 – Detroit Rock City movie premiere party (Los Angeles, CA): I went to the movie opening night and left it feeling taken advantage of. The movie was not much better than KISS MEETS THE PHANTOM and the new KISS song, ‘Nothing Can Keep Me From You’, was pure sap. I would have rather seen this performance in the theater. 6/27/2000 – The Last KISS (Pay-Per-View), Continental Airlines Arena (East Rutherford, NJ): Filmed for a 90 minute pay-per-view special that aired 10/7/00. This is not the full show from that night but it is a good representation of the band on their Farewell Tour. Saw this tour multiple times as well and the highlight was the original band doing some of the ’80s tunes: ‘I Love It Loud’, ‘Lick It Up’, and ‘Heaven’s On Fire’. Only ‘Heaven’s On Fire’ appears on KISSology Vol. 3 and that’s too bad because I thought the band was better on the Farewell Tour than the Psycho Circus Tour and Peter & Ace did a solid job on the songs they didn’t record. A small complaint but I’m still glad to have it. 12/22/73 – The Coventry, (Queens, NY): The holy grail for KISS fans! There was a teaser as an “easter egg” on KISSology Vol.1 but having what seems to be the full show on DVD is worth the money. If memory serves, former manager Bill Aucoin had this footage in his personal archives and released it to Gene & Paul. Probably the earliest video recording to date of KISS live in concert. This is my favorite part of the video so far. 6/15/96 – KROQ Weenie Roast, Irvine Meadows Amphitheater (Irvine, CA): This is the bonus DVD on the regular edition found at all retailers except Wal-Mart & Best Buy (they have their own bonus DVDs). This was the pre-tour tune-up show for the reunited KISS to see how the live show would translate to an audience. I’ve never seen the video of this show until now, I did buy an audio bootleg a month after the show but the sound quality was fair. Again, nice to finally get this professionally done. If you like KISS, this is essential. If you’re a casual KISS fan, this is essential. If you aren’t a KISS fan…..well, that’s your problem! 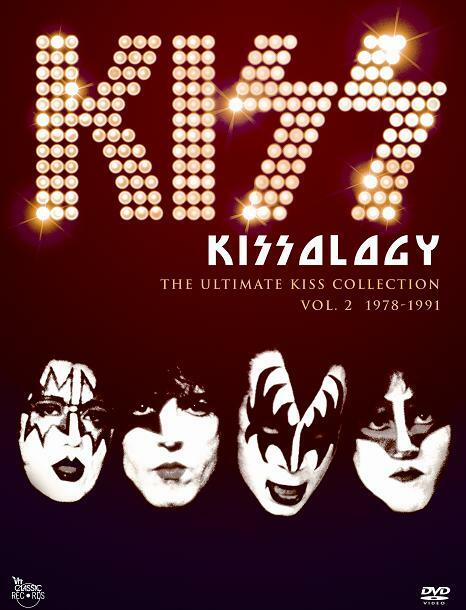 In one year, KISS has released KISSology Vol. 1 and Vol.2 DVD sets and they are top notch products, professionally done, and full of extras…..Vol.3 is no exception. The whole thing is a highlight, I can’t find one thing I don’t like. My favorite shows: Unplugged, Tiger Stadium, and The Coventry ’73 show. Price of admission is worth it just for the Coventry footage but that’s coming from a guy who worships at the platforms of KISS. KISS has struck gold (and multi-platinum) with the KISSology series and I hope they continue releasing archival footage. Gene & Paul are smart business men and they know that releasing concerts on audio/video will be what sustains them when their touring days are over. I hope they put the same care and quality into possible future releases as they have with KISSology 1, 2, and now Vol.3. 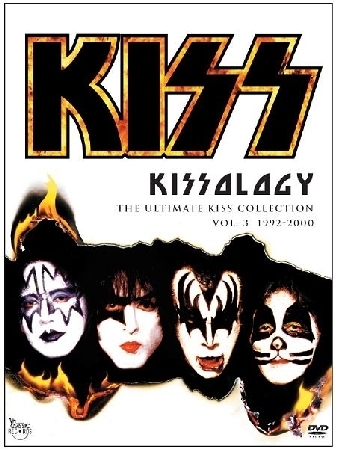 ****** KISSology Vol.3 (1992-2000) is to be released on Tuesday 12/18/2007. There are 3 different bonus DVDs available, Best Buy and Wal-Mart have different bonus discs than this general release. Ebay Madness – Tora Tora – Revolution Day (1994 unreleased 3rd album) studio master reels end at $2136! Tora Tora – Revolution Day (1994 unreleased album) studio master reels sells for $2136! Someone out there just got an early Xmas gift! And an expensive one at that! Bidding started at $9.95…..under ten bucks! There were 49 bids. Both reels are on ¼” tape and these are 2 track stereo masters. For those of you that may be wondering exactly how rare these tapes are; when a band recorded albums on analog tape, three sets of masters are made. A master and a back-up master which are kept by the record company and then a third back-up mixed master which is either kept by the studio or the producer of the album. 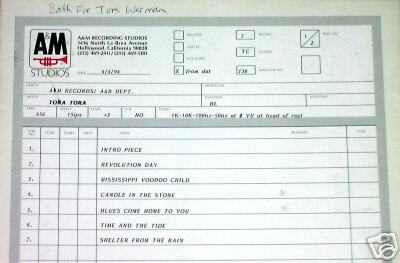 Luckily, I obtained a box of various reels from music biz veteran/Tora Tora producer-Tom Werman about five years ago with several additional Melodic Rock Masters. These are a one-of-a-kind set. 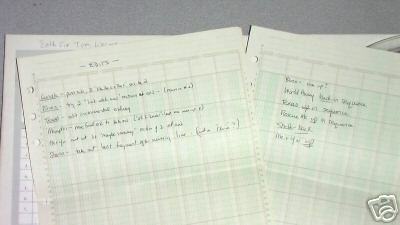 Reel 1 contains Side A of the album and Reel 2 contains Side B. Good luck! Both reels should play back perfectly although I would strongly recommend having them professionally transferred. Please email me when you bid just so I can have a record of the bid. I’d be interested in hearing this release. 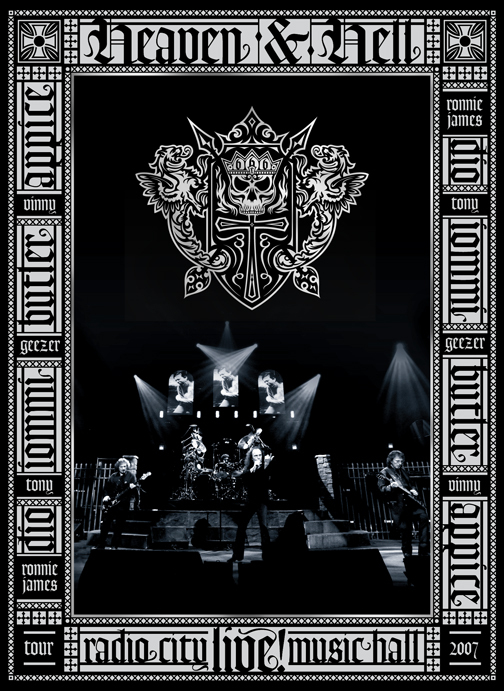 After eight studio albums, three live albums/DVD´s and a few special releases (EP´s, compilations etc.) – combined sales over 1.5 million copies – ROYAL HUNT decided to produce a sequel to their critically acclaimed release from 1997 Paradox. The sequel (Collision Course… Paradox II) takes off from the idea and atmosphere of its predecessor but – without a doubt – sounds charged to go for 2007. No ammunition’s being saved for this one – six months of recordings in NorthPoint Studio, mix at EMI Studios, best musicianship possible (the band was there to define the term neo-prog with their first release back in 1991) and even a bunch of good friends as participants: Doogie White (RAINBOW, YNGWIE MALMSTEEN), Ian Parry (ELEGY, CONSORTIUM PROJECT), Kenny Lubcke (JOKER’S WILD, NARITA), Henrik Brockmann (ex-Royal Hunt, EVIL MASQUERADE) among others. And yes, there are female voices, real violins, cellos and woodwinds thrown in for good measure. 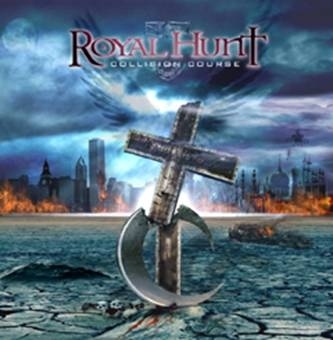 With this album Royal Hunt is introducing their new lead singer Mark Boals (ex-Yngwie Malmsteen, RING OF FIRE). His great voice and talent, plus many years of experience are perfect fit for the band. Andre Andersen comments on the band’s website: “Album is done. It’s such a great feeling to finally be able to hold your new “baby” in your hands (weird at the same time… looking at this tiny CD, knowing how much time and money went into its creation). And a bit sad at the same time – we had such a blast making it, there’s been tons and tons of great moments in the process: countless barbecues and other assorted “nights out”, a bunch of dear friends/guests who joined us along the way and even the fact that all of us – for almost 6 months period – had this album as a cornerstone of our lives, the goal which we were working so hard to achieve – as a unit. I know, I know it sounds sentimental but there’s always that bittersweet feeling than the job is done and you’re looking back at the process…But now it’s all history – for us, at least. For you there’s another album to discover and – hopefully – to enjoy, and we all wish you the latter… in spades”. The lyrical concept is as controversial as the original Paradox – this time concentrating on a ‘collision course’ of modern Western world and ‘a new breed’, grown on Eastern religious movements. Musically you’ll have it all – album runs in a ‘non stop’ fashion (all songs are chained together): there are huge epics, intricate progressive arrangements and all good things metal with killer melodies… and there will be videos… and a concert tour. Combine all this with an astonishing line-up and a grand scale production, and you’ve got a winner. Frontiers Records will release in Europe Collision Course…. Paradox II on March 14th 2008, with more details to be announced at a later stage. Soundclips can be found here. Once again the winds of change are upon us, and this time I can say that I am very happy about the result. While out on the European tour I had several in depth discussions with many loyal Iced Earth fans. A common theme of these discussions was how much Matt is missed. I agreed with the fans that things were not the same and that it was a very special period in Iced Earth’s history. When I heard several months ago that Matt was going to be doing a project in music again, I was thinking about contacting him and seeing what his intentions were. I didn’t act on this because I was so focused on the writing of the new epic, and frankly, it just didn’t seem realistic. Well, after getting out on the road and speaking with many of you directly, I decided to call Matt and see how he was doing and if he was interested in working together again. 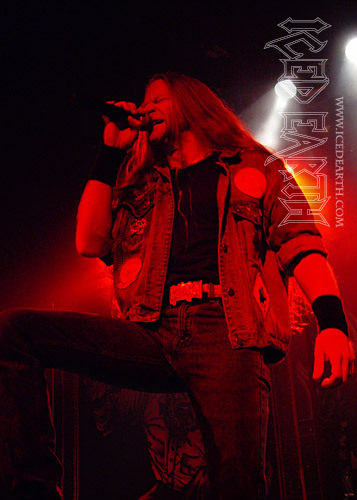 I am proud to say that he is coming back to Iced Earth and we will be getting back to work in the studio very soon. Matt will be singing on Part 2 of the Something Wicked concept CD and we will be looking forward to getting out on tour and delivering a series of Iced Earth shows that will rival any in the history of the band. And there will be a proper DVD filmed from this period, something we’ve all been waiting for. I want you all to know that it was you who made this a reality. I have missed Matt’s presence onstage and in my personal life in a big way over the past few years, so I appreciate your honesty in our discussions. It did help me realize the decision to move forward with pursuing this. The fans have spoken and we have delivered! You true fans know that I’m a straight shooter, I say what I mean and mean what I say. And though I value your opinions greatly, you must believe that this is a decision that comes completely from the heart and is not motivated by anything other than what feels the best for Iced Earth. This is the way that things have always been dealt with, for better or for worse, but always honestly and from the heart. Tim Owens is a great and talented singer and I wish the best for him and his future on a personal and professional level. There will be more news soon as to further developments and plans. This will push back the release of Part 2 a bit. Not because we couldn’t be ready to record in time, but because of a new addition to Matt’s family in early 2008! I am very happy to announce that Iced Earth is truly BACK! Have a great holiday season. We’ll be in touch very soon with more details. Wow! Can’t say I saw that one coming. Tim Owens is out of Iced Earth and former vocalist Matt Barlow replaces him. It’s a puzzling move in the fact that the band just released FRAMING ARMAGEDDON (Pt.1) this year and it’s a solid record from what seemed to be a solid partnership. Barlow is the Iced Earth sound but his return is confusing because he left to pursue a career in law enforcement and it was a tense split. Not sure what all the reasons are but Iced Earth just got better. No offense to ‘Ripper’ Owens, he did an excellent job vocally on two Iced Earth albums but he has put himself into two bands replacing a unique voice, if I were him I would concentrate on a solo career. No doubt he would have an excellent one just take a listen to the Beyond Fear debut. I wonder how long it will be until Jon Schaffer re-records FRAMING ARMAGEDDON (Pt.1) with Matt Barlow’s vocals…..that’s something I’d like to hear. 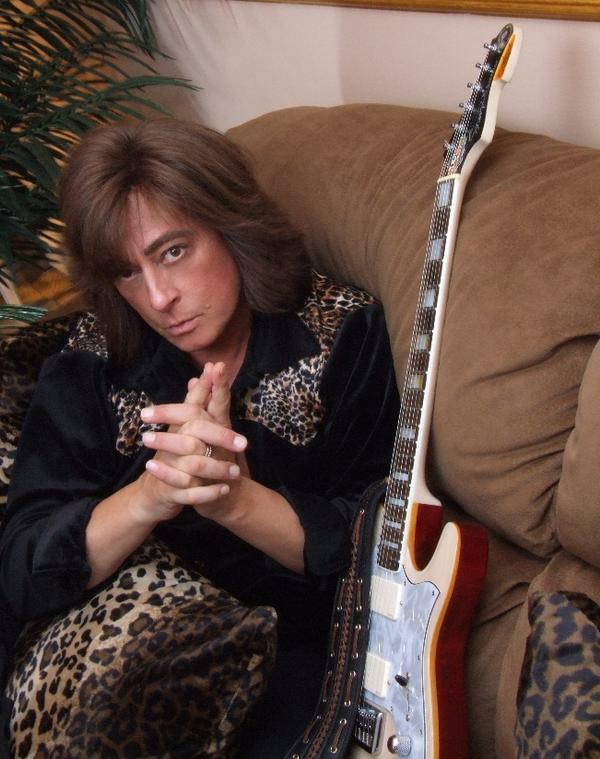 If you head over to Dokken’s MySpace page, you can hear a rough mix of a new song called ‘Oasis’. The song is from their upcoming new album, LIGHTNING STRIKES AGAIN, due sometime in early 2008. 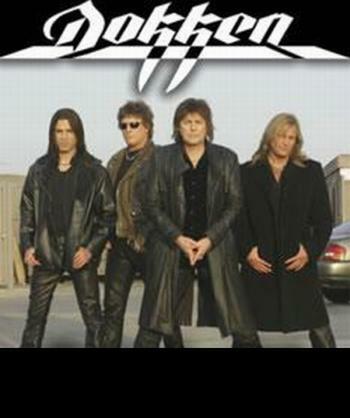 Dokken 2007 lineup – Don Dokken (vocals), Mick Brown (drums), Jon Levin (guitars), & Barry Sparks (bass).